Week of 03/30/15 – Concrete jersey barrier is being moved from the left side to the right side of the ramp from Interchange 14A Toll Plaza to westbound Hudson County Extension, as well as on the ramp from westbound Hudson County Extension to the Toll Plaza. The barriers are being moved to a long term configuration that will accommodate ramp widening construction. Preparatory demolition work has begun, as well as the installation of temporary timber shielding on JFK Boulevard, Avenue C, and Garfield Avenue bridges in advance of bridge widening to accommodate overall Turnpike Ramp widening. 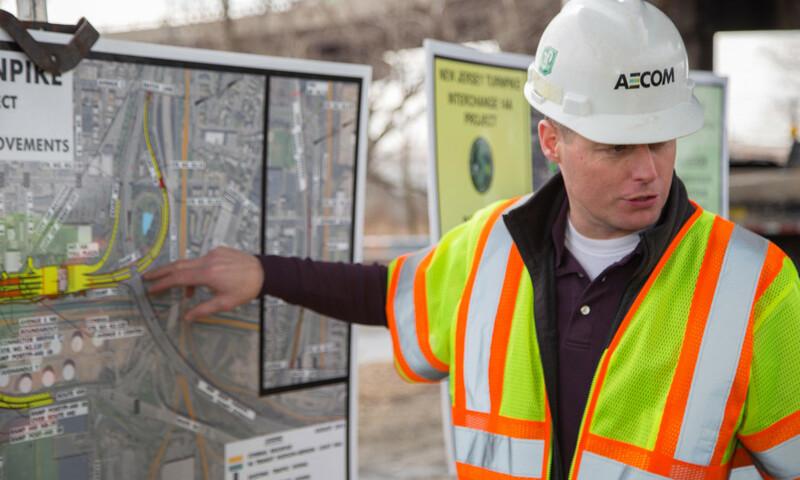 Construction access points will be made at the corner of E58th Street and Avenue B, Avenue C and the Turnpike overpass, and on Garfield Avenue and the Turnpike Overpass (near the PSE&G Substation) to allow for new sign structure construction. Small preliminary excavations (test pits) will be made as needed on Avenue E for utility related work. These work operations will be one day events supported by Bayonne Police. New utility installations will begin on E52nd Street and Avenue E. This work will be supported by Bayonne Police. On Tuesday, 03/31, PSE&G will be performing electrical service relocation work on the corner of E52nd Street and Avenue E in support of the Project. E52nd Street will not be closed but street parking in the vicinity of Avenue E will be impacted. Bayonne Police will be providing assistance. On Wednesday, 04/01, E52nd Street will be closed at Avenue E, beginning at 8:30AM and ending at 3:30PM for utility work. Two way traffic on E52nd Street will be provided from Broadway. Bayonne Police will be providing assistance. Work continues on the east and west sides of the Toll Plaza before and after the toll booth as part of the capacity increase. These work zones allow for new toll lane and facility construction. Pipeline relocation work will begin on the west side of Route 440, at the Pulaski Street Jughandle, and will be supported by Bayonne Police. Week of 03/23/15 – Concrete jersey barrier will be moved from the left side to the right side of the ramp from Interchange 14A Toll Plaza to westbound Hudson County Extension, as well as on the ramp from westbound Hudson County Extension to the Toll Plaza. The barriers are being moved to a long term configuration that will accommodate upcoming ramp widening construction. 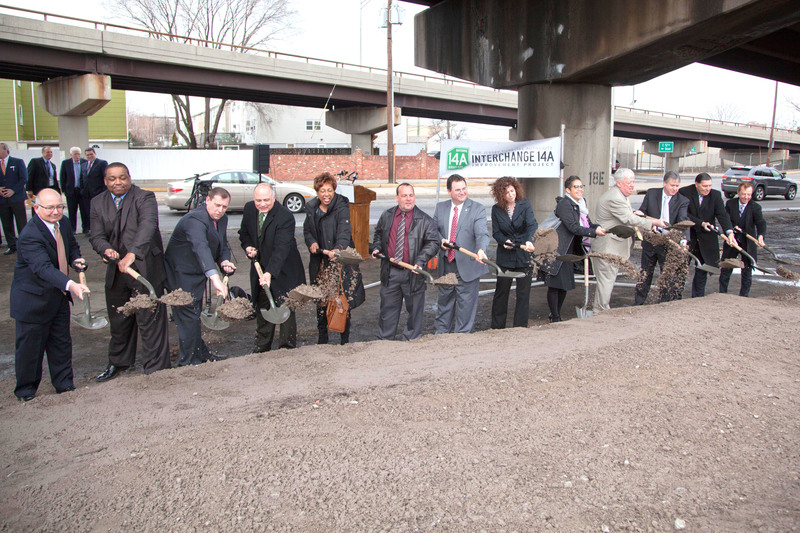 Representatives dig shovels full of dirt to kick-off the Interchange 14A Improvement Project. 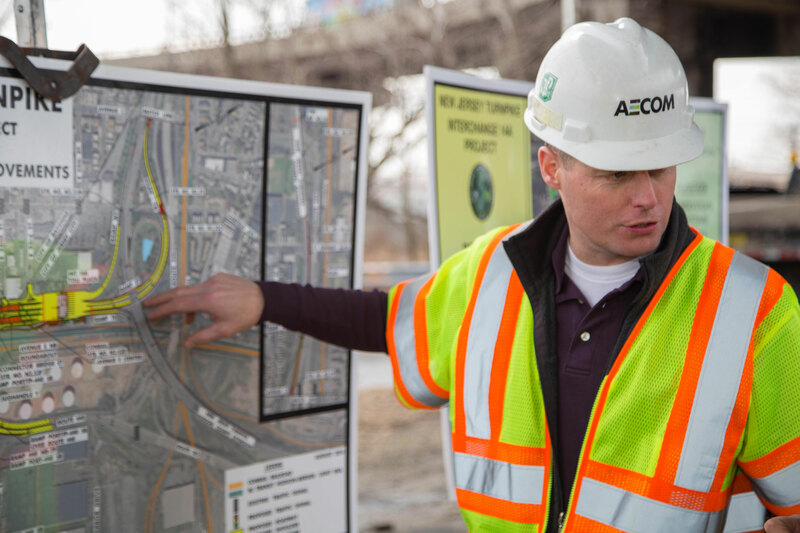 AECOM Project Engineer, Tim Snow, explains the construction plans to groundbreaking ceremony attendees. 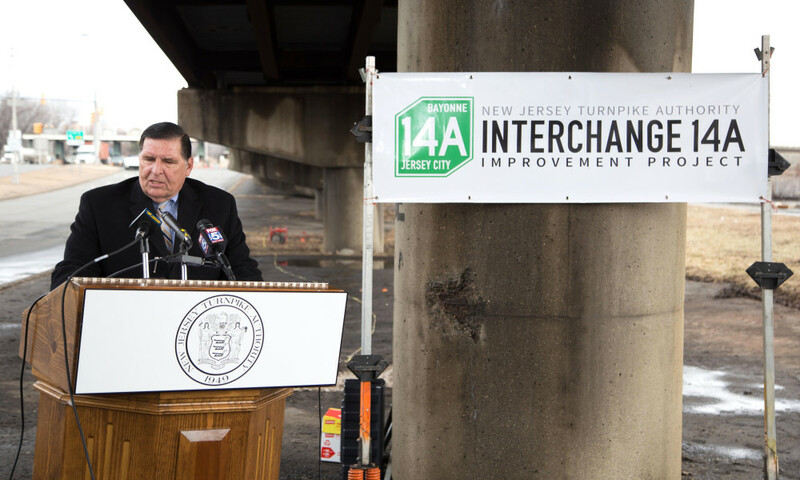 New Jersey Turnpike Authority Executive Director, Joseph Mrozek, greeted attendees and spoke of the significance of this improvement project. 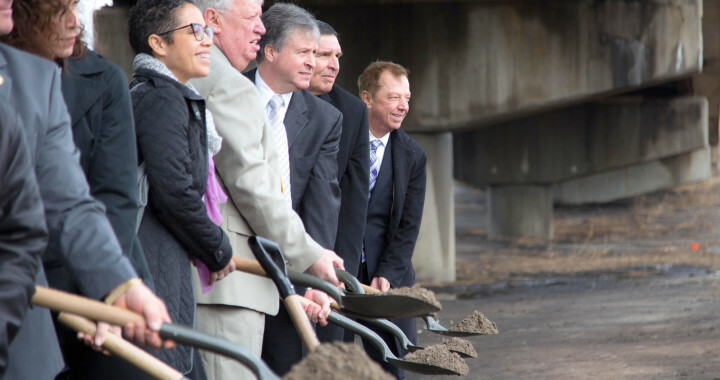 New Jersey Turnpike Authority officials were joined by state, county and local elected leaders just outside the 14A toll plaza in Bayonne on March 11th for a ceremony to mark the beginning of construction on the Interchange 14A Improvement Project. 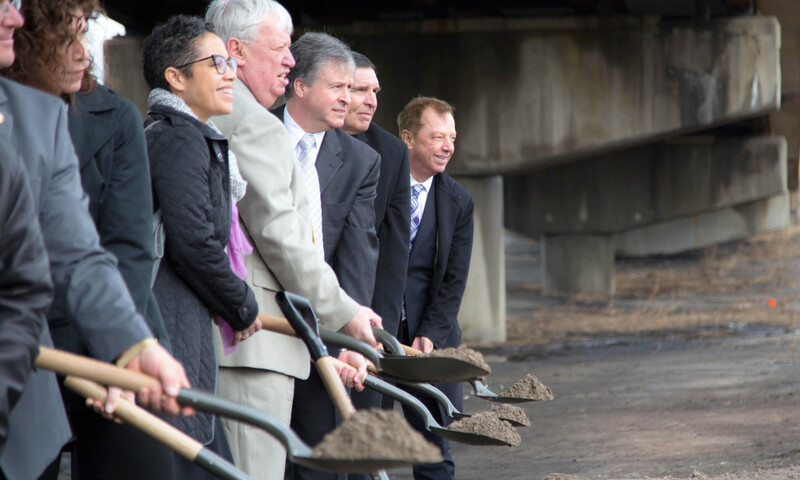 Fox and Mrozek were joined at the event by NJTA Vice Chairman Ronald Gravino and Commissioners John Minella and Daniel Becht, as well as many Turnpike Authority staff members. In addition to Fox and Mrozek, speakers included Bayonne Mayor Jimmy Davis, Jersey City Deputy Mayor Vivian Brady-Phillips, and Hudson County Executive Tom DeGise. Many 14A Improvement Project team engineers and representatives from AECOM, Union Paving, Gannett Fleming, and Greenman-Pedersen, Inc. were also present —utilizing several visualizations and project boards to explain the scope of work to the attendees. 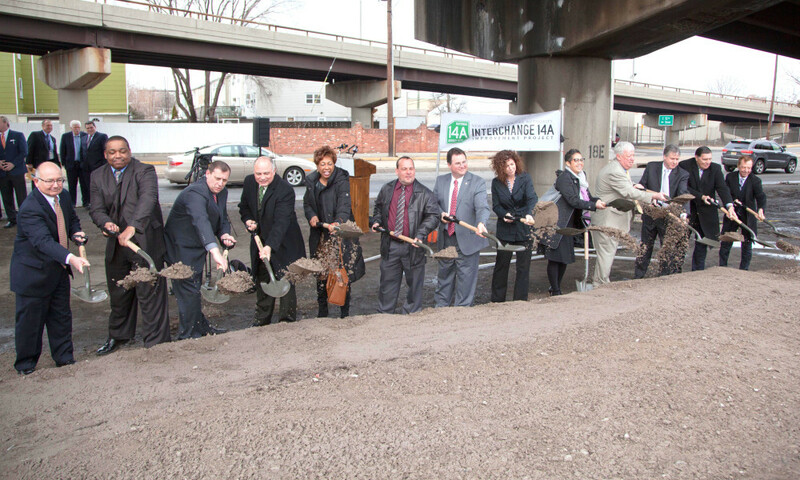 Residents and other stakeholders from the Bayonne and Jersey City communities are invited to learn more about the Interchange 14A Improvement Project at the public information center on Thursday, March 26, 2015, at the Washington Community School, Multi-Purpose Room, from 5:00 to 8:00 p.m.
For more information, please call the toll-free project hotline 24/7 at 1-800-671-6872. **(CANCELLED): Eastbound Interchange 14-14B: The right lane and shoulder will be closed from 8pm Tuesday to 4am Wednesday. The left lane will remain open. **(ON SCHEDULE): Westbound Interchange 14B-14: The right lane and shoulder will be closed from 9pm Thursday to 5am Friday. The left lane will remain open. Eastbound Interchange 14-14B: The right lane and shoulder will be closed from 8pm Sunday to 4am Monday. The left lane will remain open. Week of 03/16/15 – Concrete jersey barrier will be moved from the left side to the right side of the ramp from Interchange 14A Toll Plaza to westbound Hudson County Extension, as well as on the ramp from westbound Hudson County Extension to the Toll Plaza. The barriers are being moved to a long term configuration that will accommodate upcoming ramp widening construction. 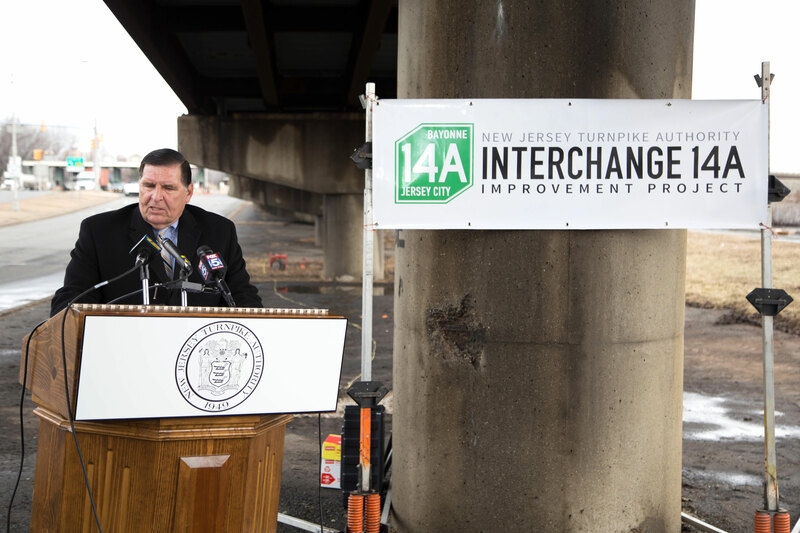 Week of 03/09/15 – Concrete jersey barrier will be installed on the left side of the ramp from Interchange 14A Toll Plaza to westbound Hudson County Extension, as well as on the ramp from westbound Hudson County Extension to the Toll Plaza. The barriers are being installed to accommodate preliminary work in preparation for the upcoming ramp widening construction. Small preliminary excavations (test pits) will be made on Avenue E for utility related work. These work operations will be one day events supported by Bayonne Police. 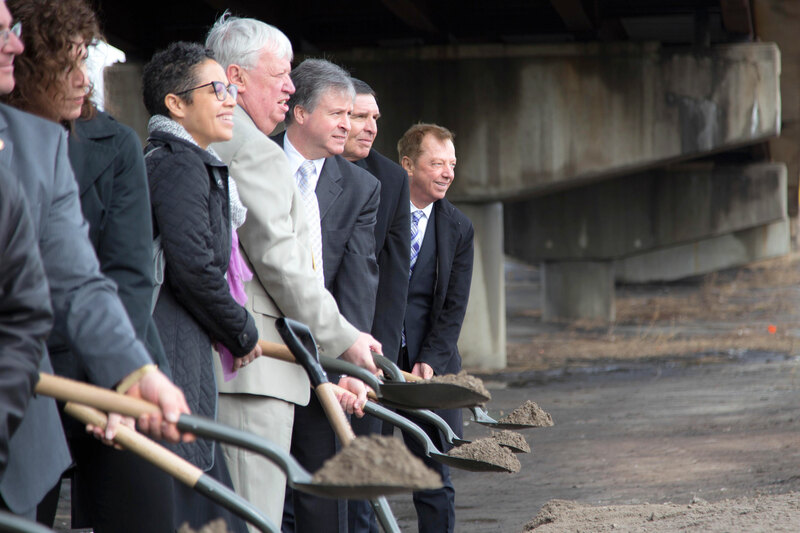 Work will continue on the east and west sides of the Toll Plaza before and after the toll booth as part of the capacity increase. These work zones allow for new toll lane and facility construction.